If you want to see some of the UNESCO world heritage sites in one country, visit to Mexico. The country has twenty-nine sites in the list of world heritage, much more than any other country in the Americas. 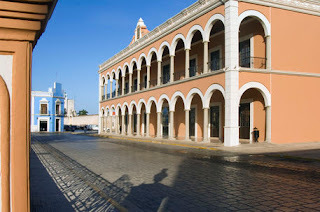 The city of Campeche was founded in the village of Maya Ah Kim Pech, a port city on the Yucatan Peninsula. The historic city center is protected by a wall that is used as a military stronghold to prevent malicious attacks from pirates of the Caribbean Sea. Campeche is home to the ancient Maya culture. Many Mayan ruins are still standing in Campeche, such as Calakmul, Chicanna, Becan, Edzna, Xpujil, Hormiguero, Balamku, and El Tigre, and others. Zecatecas located in northern Mexico. 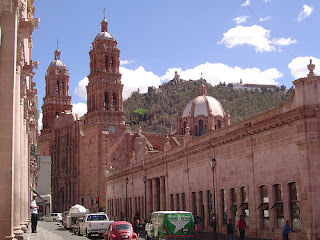 Historic downtown Zacatecas will remind visitors of most regions of medieval Spain. The city was prosperous during the 16th and 17th century silver from the industry and today stands as a museum for those who want to visit there. The most popular sight is the stunning cathedral that stands in the middle of the historic district and nearly 20 monasteries that have been preserved since the 17th century until the 18th century. Hospicio Cabanas is one of the most unique buildings in Mexico. Located in Jalisco, Guadalajara, the complex was built in 1800 is a place to live and care facilities for the less fortunate. The simple design of this building is very smooth with a mix of stunning mural artist Jose Clemente Orozco's name. It creates an environment suitable for the particular purpose to the theme of humanity. 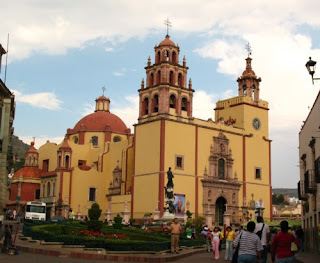 Guanajuato is a state in the central highlands of Mexico and located not far from Zacatecas. The historic city of Guanajuato is the best colonial architecture featuring cobblestone streets, neoclassical architecture, and the best examples of Baroque architecture in Central and South America. As the center of the world's leading silver extraction in the 18th century, you can find traces of the past in the underground and the streets of Mineshaft as deep as 600 feet, known as "Boca del Infierno." 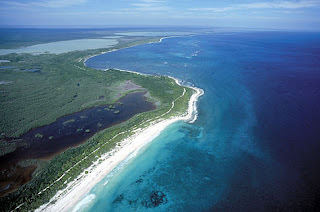 Centro Ecologico Sian Ka'an is located on the Caribbean Coast of Mexico, near the Mayan ruins of Tulum, south of Cancun. Sian Ka'an Biosphere is one of the most biologically diverse places in the world. The Maya people of this place named "Origin of the Sky". Sian Ka'an is also an ecological center contains lush tropical forests, mangroves, coral reefs and wealth. All this is home to hundreds of species of birds and sea creatures. All activities such as kayaking, fishing, and tourism in the park is an aid to fund conservation and education programs.